No matter how old are you, no matter where are you, no matter how are you if you are interested in finding your passion this is the right place. But also, bear in mind that you will not find your passion by just reading this article. 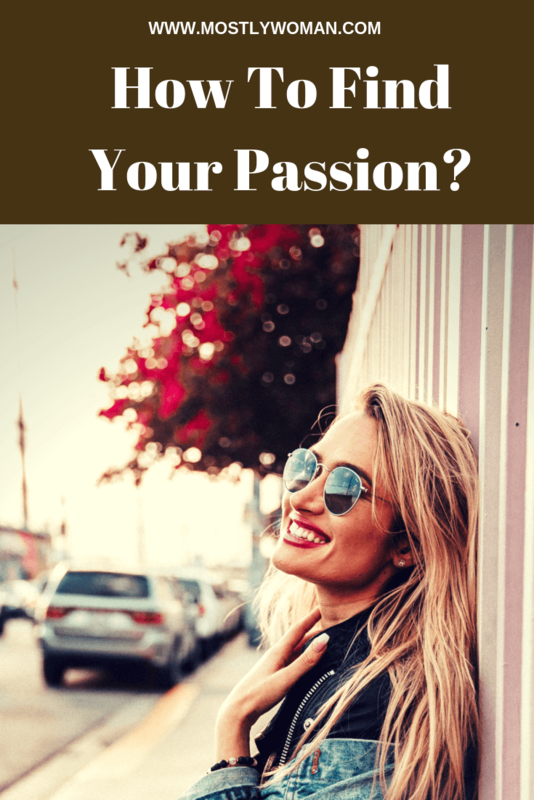 You are in charge of your own life and here you can find several exercises to help you find your passion and dream job. Is it true that you really don’t know what you want? You don’t know or you don’t want to know? My therapist always said to me “You know what you want”. And what did I do? I said to myself, I know, I know, I want to be a good client and please my therapist. And this is what I did 6 years in therapy. Lying myself and my therapist because I had a pattern to please others. No, I didn’t know what I want. It is totally OK if you really don’t know what you want. And now, after researching and learning I know that we can’t always know what we want, but we do know what we don’t like. When I was in elementary school, there was a popular show in our country with a man who asked children from different schools what do you want to be when you grow up. I remember I said a hairdresser. Was this true? Nope! The only woman who I visited once a month that time was the hairdresser with my mom and sister. So I think that she was some kind of a model for me as a child. She was young and so feminine. There was this friend of mine who said she wanted to be a handball player. No, she did not even play handball. I am telling you this story because I am sure you had so many dreams and things you wanted and yet still wondering what your passion is. Not knowing what you want and searching for a purpose or a dream job is stressful. In this article, I will share several exercises which can help you find your purpose and passion. I can’t promise you that you will be able to find only one passion. There is a good chance that you could have so many likes and interests and be so confused. As I said before, it is possible to not know what you want. How can you know if you want ice cream if you never ever tried it? It is OK to not know what you want. But I am sure you do know what you don’t want. I am so sure I don’t want to be a hairdresser. I don’t want to travel a lot, I don’t want to work with numbers, I don’t want to wear high heels very often, I don’t want to work with many people, I don’t want public speaking etc. This is at this moment, here and now. Maybe in the future, some of these dislikes will change and become my passion. But one of the most important things is to be mindful and live in the present moment. Don’t overanalyze the future. Forget it. Before trying to figure out what your passion is, make a list with some of the things you don’t want. Write at least 10 things. Always be aware of your dislikes. Knowing yourself is a powerful tool in life. Making a list with dislikes will help you be aware of yourself and maybe lead you to some of the things you truly love. The first thing I mention is to visualize. I often start my therapy with visualization. This is for several reasons, one for awareness of the here and now, but most often I “search” for an emotion or a feeling to appear. Or we call it a figure. How to visualize? If you are ready to change your life and to be in charge of your own happiness, bear in mind that this is a way of life. Visualization is something natural. Every child visualize. Playing games are visualization. I remember as a child I was falling asleep with visualization. People around me call it a fantasy. Yes, FANTASY! Thank you Fantasy because you are a reason I am alive and happy. No matter how old are you, where are you and who you want to be, try to relax. Close your eyes and try to visualize yourself happy. Make yourself comfortable. Relax your body and take a deep breath. Imagine you are happy. Feel happiness through your body. Your heart pumps happiness. Your heart pumps joy. You have so much energy. Where are you at the moment? Are you alone or with someone else? What are you wearing? Is it cold or hot? Is it day or night? What makes you feel so moved and energized? Every breath you take is full of joy and happiness. Every breath you take is energy. See your surrounding. What do you do? Now open your eyes. And write down everything you saw. I knew I want to write when I made this exercise in therapy. I was surrounded with so many plants and flowers, I was alone, in a small apartment with so much natural light and I was writing. Today I am writing and I have several plants around me. But after several years my standards have changed. Now I want something more. I am sharing this with you because I want you to know that WE ARE CHANGING. Thank God we are changing. Follow your emotions! And let them change through the years. Grow! Emotions will always lead you to happiness. Visualize every time you feel lost. Visualize the perfect you. The perfect life. The perfect job. You will know what you like or dislike. This is why you will hear to visualize from every therapist. It is a natural way of your mind to show you what you want! Fantasy has a purpose! Don’t kill the child in you. Visualize and grow! You already have a list of dislikes and a fantasy of your perfect day. What gave you energy? What gives you energy in life? Solving problems? Learning new things? Work out? Talking with people? Helping others? Making something? Organizing? The thing that energized me was helping others. Throughout the years I changed so many interests but something that didn’t change was helping others. This is why I became a psychologist and I trained to become a therapist. I couldn’t satisfy my passion to help others with science only. And then I visualized myself writing. So the idea was born to start a blog and write. Now I spent more time learning SEO, marketing, managing etc, but the main goal is here. Helping others. I didn’t change the goal, I changed the plan. And who knows what will happen in the next several years. When trying to find your passion, modesty is not a good trait in my opinion. I was raised to be modest and I was afraid to want more in life. I was ashamed when I wanted something more than I already had. If you want to find your passion and succeed then forget about being modest. Ask for more! The trick here is to be happy with what you already have, but don’t be afraid to ask for more. So, I am happy with owning this blog but I want to write a book someday. I am happy! I will be happy without it. But I am not a bad person for wanting more. Do you understand? She asked for more and she was given more. She succeeded and the passion stayed the same. Don’t be afraid! Ask for more! Visualize more! Forget modesty, forget fear, forget everything which is standing between you and your passion. One thing I learned the hard way is to always relax and rest before you decide anything. You are most important! Don’t burn out. Give time and rest. A tired brain can’t make a decision and think clearly. Don’t expect to find your passion and dream job when you have so many things to do and you feel really tired. Always relax first before making a decision. Every person is different so find what relaxes you. I like to take long showers, listen to audio books and order food. But I am a stay at home mom and also working from home. I can’t take a day off. If you can, take a day off. Be alone. Sleep how much you want. Lay down. Go on a vacation. Do whatever you want. This way you will have time to rest and to relax. In this state of mind, you can find your passion. Take time for yourself. Breathe. If you can’t take more than one hour and you are so busy then relax with some mental exercises. Before bed or in the morning. On a break or in therapy if you need to. Curiosity is a great thing. Babies experiment. They try different food, different amount of food and different texture. They experiment with everything. Learning to sit, to pull up, to walk, to run. To hold small items, to shake them, etc. Why not continue to experiment in life? It is totally OK to change through life. Your passion will change, your likes will be different. Follow your feelings and emotions. Try different things. You will be surprised and maybe find a new talent of yours. Just make sure you follow your emotions. Don’t try things you don’t like just to get out of your comfort zone. You are in charge of your life to build your own comfort zone. You have a list of dislikes and don’t experiment with those things. Too much experimenting can lead you in another extreme. So be careful with this one. Watch videos, read books, listen to other experiences. Is she doing something I would love to? Is this something I would be excited to do? You don’t need to experience it yourself to know if you like it or not. Learn from others. I knew I want to write when I felt so much excitement and admiration when reading books. Explore things that make you feel interested and raise in you a pleasant feeling. 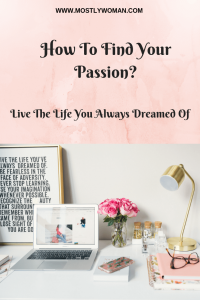 How to find your passion and your dream job? Are you sure you don’t already have one? This is something I see every day. People think they don’t know what they want when the reality is they DO KNOW. This is why I love coaching young people when they don’t know what career to chose. I remember a client of mine was so scared and confused. She wanted to study Psychology or Pedagogy. She ended up studying Security and Defence and (of course) didn’t pass the exams. It wasn’t her passion. She didn’t listen to her inside voice. Now she is a professional makeup artist. It was her hobby and her passion. And now – it is her dream job. I am MS in Clinical and Counseling psychology but also trained for 6 years to become a psychotherapist. Throughout years I volunteered and worked in several places. But something was missing, so I decided to at least try to make my hobby my dream job. Are you a great cook? Are you creative and make jewelry yourself, or you are so good at organizing? See your hobbies. There must be something you are good at and you will learn to be great at. Don’t be afraid to fail! You will rise again and again. Is there anything you are afraid to share with others? I started this blog anonymously because I was afraid. I was afraid that someone will criticize it. And with time I realized that I truly care about writing. What do you hide from others? Maybe you are a great singer or artist. Sometimes your passion is right in front of you. Don’t let the fear of failure keep you away from living your dream life. Fear is just a thought in our mind. Always find time for yourself. I hope you will find your passion and finally live your dream life! Wish you all the best. It’s amazing how just the other day. Something in my subconscious started telling me to work on my blog. 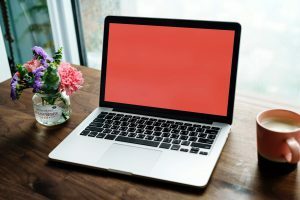 The problem was that my blog was all over the place and I didn’t really know what my passion was or atleast I didn’t know exactly how to describe my passion. I just knew I enjoyed helping and motivation people to improve their lives in someway shape or form. Finally when I started searching for keywords for SEO that I came across the name of my passion. Personal development. I like seeing people improving themselves and becoming better and better everyday. I never though that it would be the case for me. I personal don’t like psychology but yet I love positive motivated people ready to take on the world. Sometimes we know what we like or what we don’t like but we can’t figure out the words to describe it. So I really liked this post. I believe we’re all put on this Earth for a purpose. Some of us manage to find that purpose while others our purpose is clear but we don’t know how to make a living from it.